On Sunday the 28th July from 12noon-5pm the Irish Peatland Conservation Council are inviting you to visit the Bog of Allen Nature Centre and share your bog memories with us. This will be a special day at the centre as the Dutch Foundation for the Conservation of Irish Bogs will visit and share with us their bog memories as they celebrate their 30th Jubilee. The Netherlands was the first country in Europe to completely develop all their bogs. A sense of loss fell on the nation and the Dutch government decided to take action to conserve their last 8,000 hectares. As part of this they signed a joint agreement with the Irish government to send students to Ireland to study Irish peatlands. During these studies a young Matthijs Schouten visited to explore the change in bog plants as you cross from the East to the West of the country. He soon found that Ireland was developing bogs in the same way the Dutch had, there was no thought for the conservation of a sample of these wonderful habitats. He wanted to take action so in 1983 Matthijs and a group of friends set up the Dutch Foundation for the Conservation of Irish bogs in the Netherlands. Between 1983 and 1987 they raised enough money in the Netherlands to purchase three peatlands in Ireland. With the help of the Irish Peatland Conservation Council Scragh bog, in Co. Westmeath, Cummeragh River bog, in Co. Kerry and Cloghar na gCon, in Co. Galway were purchased by the Dutch. These peatlands were then handed back to the Irish people as a gift. The Irish government recognised this fundraising and pledged to conserve a further 50,000 hectares of peatlands in Ireland. 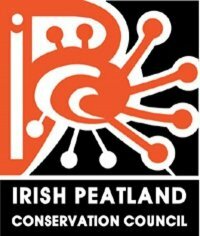 Throughout this gathering year the IPCC have invited members of the public in Ireland to share their peatland memories. On the 28th July Matthijs Schouten of the Dutch Foundation for the Conservation of Irish Bogs will travel to Ireland and share his bog memories with the Irish. This event is free and there is something for all the family including talks sharing bog memories, bog walks, wildlife gardens with insect eating plants and children's activities. It is not too late to share your bog memory; you can submit your memory online and find further information by visiting www.ipcc.ie.